Bianca K. Frogner, PhD is an Associate Professor in the Department of Family Medicine, Director of the Center for Health Workforce Studies (CHWS), and Deputy Director of the Primary Care Innovation Lab (PCI-Lab) in the School of Medicine at the University of Washington (UW). Dr. Frogner is a NIH-trained health economist with expertise in health workforce, labor economics, health spending, health insurance coverage and reimbursement, international health systems, and welfare reform. She has experience working with big data such as health insurance claims data and the American Community Survey. Dr. Frogner has been funded by the National Institute of Mental Health, Center for Disease Control and Prevention, and Health Resources and Services Administration. She has published in leading health care journals such as Health Affairs, Health Services Research and Medical Care. She has provided services to The National Academies of Science, Engineering, and Medicine to address health workforce issues. In 2016, Dr. Frogner served on an Institute of Medicine (IOM) Consensus Study Committee on Educating Health Professionals to Address the Social Determinants of Health. Prior to joining UW, Dr. Frogner was an Assistant Professor in the Health Services Management and Leadership Department in the Milken Institute School of Public Health at The George Washington University (GW) from 2009 to 2015. At GW, she was the Deputy Director of the Health Workforce Research Center. Dr. Frogner completed a post-doctoral fellow at the University of Illinois at Chicago School of Public Health in 2009. Dr. Frogner received her PhD in health economics at the Johns Hopkins Bloomberg School of Public Health in 2008. She received her BA at University of California, Berkeley in Molecular and Cell Biology in 2001. Frogner BK and Pauley GC. (2015) “Do Skill Mix and High Tech Matter for Hospitals’ Competency in Adopting Electronic Health Records?” Health Economics Outcomes Research (Open Access), Vol. 1(1): 1-10. Pittman P, Masselink L, Bade L, Frogner B, Ku L, and Lantz P. (2016) “CEO Perspectives on Factors Determining Clinical Staff Configurations in Community Health Centers.” Journal of Healthcare Management, Vol. 61(5). Frogner BK, and Skillman SM. (2016). “Pathways to Middle-skill Allied Health Care Occupations.” Issues in Science & Technology. Fall Issue: 52-57. Frogner B and Spetz J. (2015) “Exit and Entry of Workers in Long-Term Care.” San Francisco, CA: UCSF Health Workforce Research Center on Long-Term Care. Snyder CR, Stover B, Skillman SM, Frogner B. (2015) “Facilitating racial and ethnic diversity in the health workforce.” UW Health Workforce Research Center Rapid Turnaround prepared for Health Resources and Services Administration. 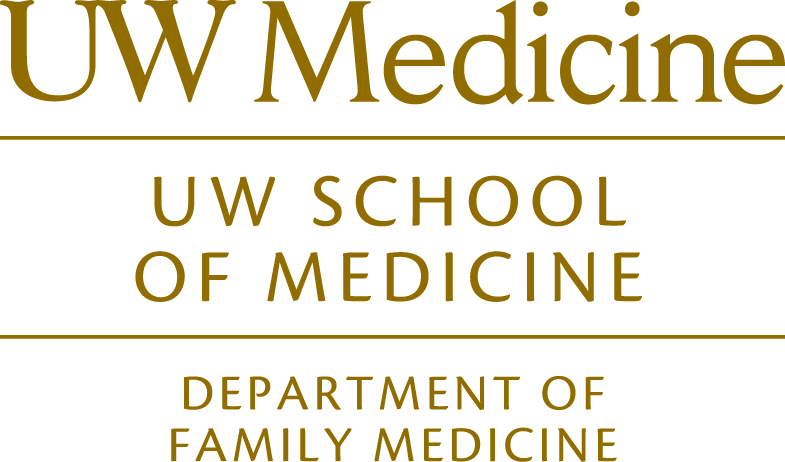 Seattle, WA: UW Center for Health Workforce Studies. Frogner BK and Skillman S. (2015) “Pathways to Middle Skilled Allied Health Care Occupations.” Commissioned paper for the Symposium on Supply Chain for Middle-Skill Jobs: Education, Training, and Certification Pathways. Washington, DC: National Academies of Sciences, Engineering, and Medicine. Skillman SM, Hager LJ, Frogner BK. (2015) “Incentives for Nurse Practitioners and Registered Nurses to Work in Rural and Safety Net Settings.” UW Health Workforce Research Center Rapid Turnaround prepared for Health Resources and Services Administration. Seattle, WA: UW Center for Health Workforce Research Studies. Health Care Cost Institute. (2015) “2015 Healthy Marketplace Index Report.” Role: Consultant. Report and brief prepared for Robert Wood Johnson Foundation. Washington, DC: Health Care Cost Institute. Frogner BK, Harwood K, Pines J, Andrilla H, Schwartz M. (2016) “Does Unrestricted Direct Access to Physical Therapy Reduce Utilization and Health Spending?” Brief prepared for Health Care Cost Institute and National Academy for State Health Policy State Health Policy Grant Program. Washington, DC: Health Care Cost Institute. Snyder CR, Wick KH, Skillman SM, and Frogner BK. (2016) “Pathways for Military Veterans to Enter Healthcare Careers.” Seattle, WA: UW Center for Health Workforce Research Studies. Skillman SM, Snyder CR, Frogner BK, and Patterson DG. (2016) “The Behavioral Health Workforce Needed for Integration with Primary Care: Information for Health Workforce Planning.” Seattle, WA: UW Center for Health Workforce Research Studies. Frogner BK, Skillman SM, Snyder CR. (2016) “Characteristics of Veterans in Allied Healthcare Occupations.” Seattle, WA: UW Center for Health Workforce Studies.